ATTENTION! 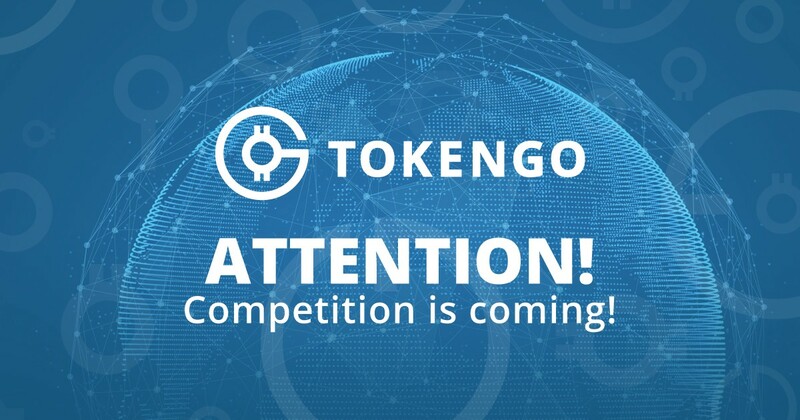 : We announce a competition for members of bounty campaign of TokenGo blockchain platform! This is our first competition but we promise it is not the last one. The first competition will start on 06th December, 2017, at 00.00. And it will be over on 20th December, 2017, at 23.59. The competition is arranged for the members performing the tasks within the categories «Video» and «Comments». Three winners will be decided in each category among the mentioned above. In category «Video» the winners will be decided at random with help of service randompicker.com. We’ll make the list of ID numbers of the tasks with your videos, and the service selects only three numbers at random. Every winner will get 7000 GPT. The more video you make, the more ID numbers of the tasks performed by you in this category make the list and the more chances you have to become a winner! In category «Comments» the winners will be decided due to the number of tasks performed in this category during the holding of the competition. The first position is 2000 tokens. The second position is 1000 tokens. The third position is 500 tokens. On 21-st — 22-nd December, 2017 we’ll sum up the results of the completion and award the additional tokens to the winners. The winner in the category «Video» will be decided during the stream at the official TokenGo youtube-channel. We’ll announce the exact time of the stream in the official telegram-chat. You are not expected to file an application to take part in the competition. Everybody, who performs the tasks in the competitive categories, participates. Wish success and best of luck!! !